Erm so yeah, big news… Kind of gave it away a bit in the title, but can’t really blame me, it’s pretty flipping exciting news! 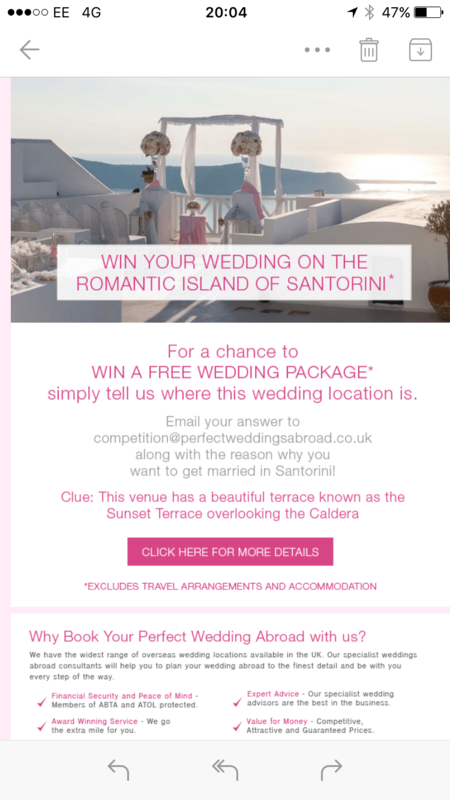 I am one of those people who never win anything, so when I entered a competition with Perfect Weddings Abroad around Christmas, I didn’t really think about it again until I was sent an email congratulating me on winning my wedding in Santorini. 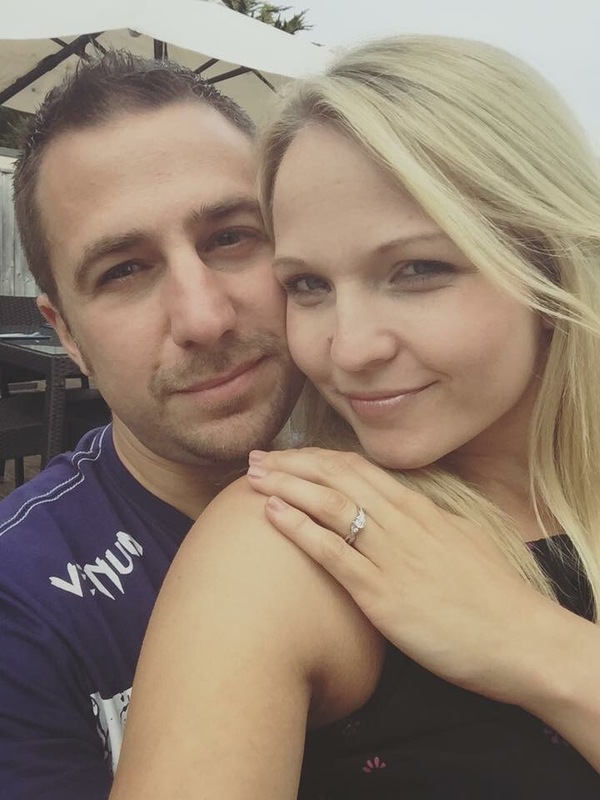 Those who read the blog will know that Ed and I have been planning on getting married on the idyllic Greek island since we got engaged back in August last year but plans had come to a bit of a halt due to lack of funds. We had been planning a trip out there this May to start plans for our May 2018 wedding but nothing had really pushed us into action as it all seemed a bit surreal still. 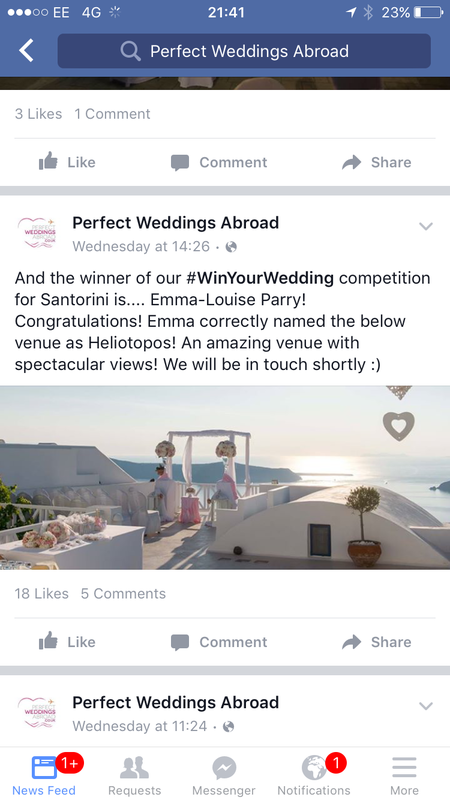 Winning this competition, for the confetti package at the gorgeous Heliotopos venue in Santorini with PWA spurred us into action and, as soon as we have decided on a date (it’s currently between June and September 2017), we will be booking the wedding and plans will really start rolling as whichever date we go for, we will be getting married next year – eek!! We have decided to put our prize towards an upgraded package with videographer, a proper evening celebration to follow the ceremony, and hair and makeup for me on the day. I am unbelievably excited now it’s all become a lot more real. The healthy eating plan is totally back on as well as now it’s only next year I definitely have an excuse to go dress shopping! Looking at the photos makes me so happy. It’s a dream come true.